In the recent past, major developments in additive manufacturing (AM) technology, better known as 3D printing, have transformed the ways in which products are designed and manufactured. Owing to the rising economic and environmental concerns, the paradigm shift in 3D printing technology, particularly over the past decade, has seen a phenomenal rise in popularity and adoption especially among capital-intensive industries. For easier understanding, we can look at the automotive industry which is a good example of how AM helps drive efficiency and productivity, starting from design to manufacturing floor. For automakers, this ground-breaking technology has witnessed unprecedented adoption due to its capacity to foster innovation, creativity and limitless possibilities. While automotive original equipment manufacturers (OEMs) and suppliers primarily use AM for rapid prototyping, the technical trajectory of AM makes a strong case for use in product innovation and direct manufacturing. Of late, leading global companies have begun to realize the commercial benefits of 3D printers in automotive manufacturing. Notably, the North American market for 3D printing is expected to register steady growth on early adoption. The Asia-Pacific and European markets are still in the initial stages of adopting 3D printing and are expected to grow at a relatively higher rate than the North American market. We believe that as 3D Printing begins to permeate across more sectors, the time is ripe for investors to enter the arena and ride the impending wave of growth. Moreover, the entry of new players will act as a catalyst for the industry and has the potential to redefine market dynamics. Investors should watch out for the 3D Printing space, as the industry seems to be on the brink of a major transformation, with expanding end markets, burgeoning applications for the technology and rising new players. Let us examine how four leading automobile manufacturers are using this technology to gain leverage in a cut-throat competitive market. 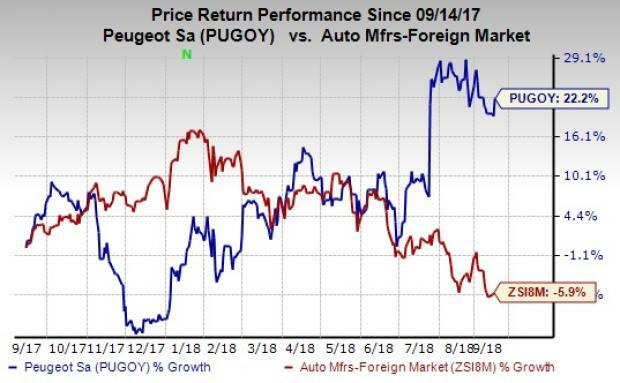 Peugeot S.A. PUGOY: This Rueil-Malmaison, France-based automobile manufacturer currently sports a Zacks Rank #1 (Strong Buy) and has a VGM Score of A. The company closed a strategic partnership with Divergent 3D, which focuses on the utilization of 3D printing in automotive manufacturing and introduced the world’s first 3D printed supercar, Blade. The stock has gained 22.2% over the past year. The Zacks Consensus Estimate for the current-year EPS has been revised 17.3% upward over the last 90 days. You can see the complete list of today’s Zacks #1 Rank stocks here. 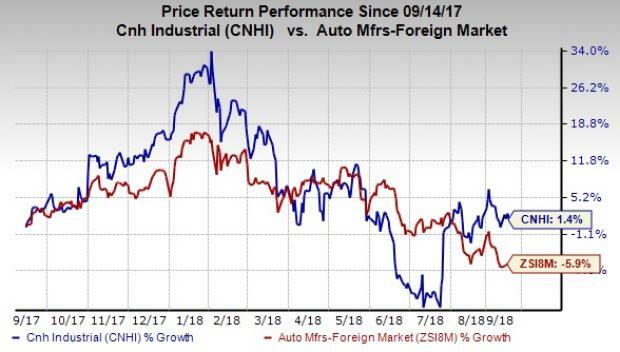 CNH Industrial N.V. CNHI: In an effort to remain at the forefront of product innovation, this London-based automaker is currently evaluating the potential benefits that could result from the adoption of AM. It currently carries a Zacks Rank #2 (Buy) and has a VGM Score of A. Shares of the company have rallied 1.4% in a year’s time. The Zacks Consensus Estimate for the current-year EPS has been revised 4.3% upward over the last 90 days. CNH Industrial surpassed earnings estimates thrice in the trailing four quarters, the average positive surprise being 38.1%. 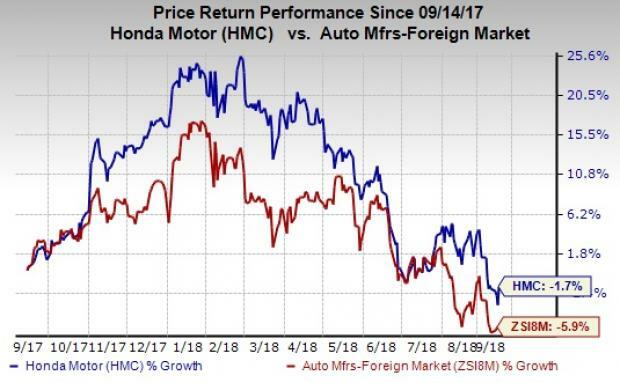 Honda Motor Co., Ltd. HMC: This Tokyo, Japan-based automaker currently carries a Zacks Rank #2 and has a VGM Score of A. Honda collaborated with 3D-printing specialist, Kabuku, to build a custom delivery vehicle for a confectionery business using 3D printing technology. The Zacks Consensus Estimate for the current-year EPS has been revised 2.3% upward over the last 90 days. The company beat earnings estimates in each of the trailing four quarters, the average surprise being 39.7%. The stock has outperformed the industry over the past year. 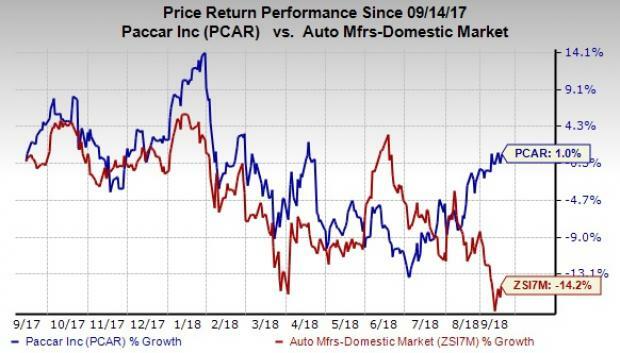 PACCAR Inc PCAR: This Bellevue, WA-based automobile manufacturer currently carries a Zacks Rank #1 and has a VGM Score of A. The Zacks Consensus Estimate for the current-year EPS has been revised 6.2% upward over the last 90 days. The company beat earnings estimates in each of the trailing four quarters, the average surprise being 8%. The company’s technical Centers in Europe and North America are equipped with state-of-the-art product development and validation capabilities. The new 3D printing technology accelerates the design process from concept to production. The stock has made nominal returns in the past year. However, it is worth mentioning that the success of AM future applications in the automotive industry will largely depend on how it evolves over the coming years.